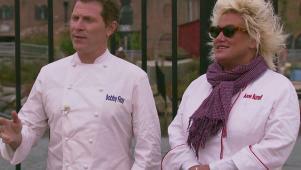 Chefs Anne Burrell and Bobby Flay find 14 of the worst cooks in America to compete in a culinary bootcamp. After seeing just how bad these home cooks are, the recruits are forced to say goodbye to the microwaves and cook to stay in bootcamp. Worst Cooks in America sneak peek: Season 4 starts February 17 at 9/8c.